Elsa H. Jones, Administrative Law Judge, Office of Administrative Hearings (OAH), heard this expedited matter on June 21 and June 22, 2011, in Van Nuys, California. Student was represented by his Mother and Father (collectively, Parents). Parents were present on all hearing days. 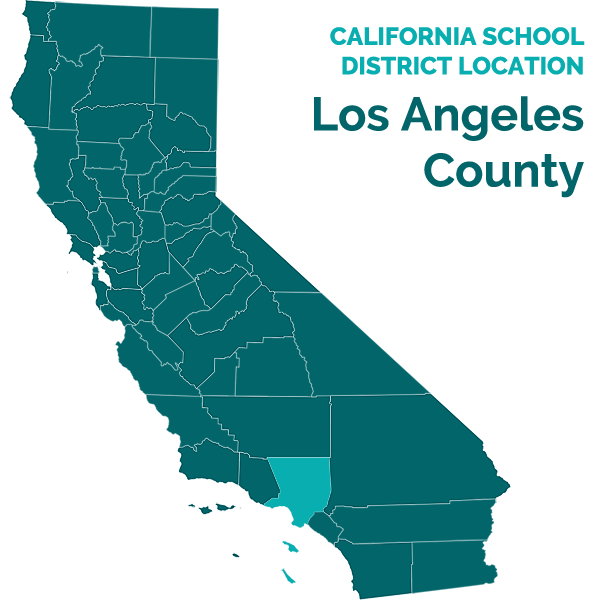 Los Angeles Unified School District (District) was represented by Donald A. Erwin, Assistant General Counsel. Joyce Kantor, a Due Process Specialist for the District, was present on June 21, 2011. José Gonzales, a Due Process Specialist for the District, was present on June 22, 2011. Student filed his expedited request for due process hearing (Complaint) on May 23, 2011. Sworn testimony and documentary evidence were received at the hearing, and the matter was submitted at the conclusion of the hearing on June 22, 2011. As of the time of the hearing, District’s summer break commenced on June 27, 2011, and continued through August 15, 2011, with respect to El Camino Real Senior High School (El Camino), which Student was to attend during the 2011-2012 school year. At the request of the parties, the parties were permitted to file written closing briefs by no later than 5:00 p.m. on June 28, 2011. The parties timely filed their written closing briefs. As a remedy, Student requested an order reversing the District’s recommendation that Student be expelled. 1. Student is a 15-year-old boy who, at all relevant times, has resided in the District with Parents. During the 2010-2011 school year, Student attended eighth grade at Hale Middle School (Hale), located in the District. Student’s educational placement at Hale consisted of a Special Day Program (SDP), with a general education curriculum and participation in several general education classes. As of the date of the hearing, he had not attended any school since April 28, 2011, when he was suspended from Hale. 2. On December 19, 2003, when Student was seven years old and in first grade, the District conducted an initial psychoeducational assessment. Prior to that time, Student had been formally diagnosed with ADHD, and the District has known of the diagnosis at all relevant times. On February 27, 2004, at the IEP meeting the District convened to consider the initial psychoeducational assessment, the IEP team found that Student was eligible for special education and related services under the category of specific learning disability (SLD). Student’s SLD consisted of auditory processing deficits and attention deficits. His auditory processing deficits related to his ability to process auditory information. His attention deficits were reflected in off-task behavior and lack of concentration. Student has been eligible for special education as a Student with SLD at all relevant times. 3. Student has had difficulty with attention and concentration since he was very young, due to his ADHD. Student’s ADHD has often caused Student to act impulsively and exercise poor judgment, without considering the consequences of his actions. Since he was approximately six years old, Student has taken the prescription drug Adderall daily to control his ADHD symptoms. At all relevant times, the District has known that Student takes Adderall for this purpose. 1 Student’s Complaint also requested an independent educational evaluation (IEE) to determine whether his eligibility category should be changed. After hearing argument, the ALJ ruled that that this was not an issue for hearing. Rather, the ALJ determined that Student’s Complaint requested an IEE pursuant to 34 Code of Federal Regulations part 300.502 (2006) and other applicable laws and regulations, and that this issue was not ripe for adjudication at the time the Complaint was filed. 4. On March 2, 2011, when Student was 15 years old and in the eighth grade at Hale, the District convened Student’s annual IEP meeting. The IEP team included Parents, Gregory Miller (Hale’s assistant principal), a District Administrative Designee, Gerrit Steenhagen (Student’s special education teacher) and Geoff Symons (Student’s general education teacher). The team reviewed Student’s present levels of performance in reading, writing, math, vocational education, behavioral support, and in the social-emotional area. With respect to the vocational area, the team reviewed Student’s grades for fall 2010-2011, which included an “F” in science. The science teacher reported that Student had difficulty completing classwork and homework assignments as well as difficulty managing his time to complete assignments. The team determined, however, that Student’s SLD did not impair his ability to maintain age-appropriate study and work habits. With respect to behavioral support, the team noted Student’s behaviors from fall 2010 up to the time of the IEP meeting. Student’s conduct included fighting, class disruptions, yelling inappropriate comments in class, and bullying. Student yelled out vulgar insults to staff and peers. These and similar events resulted in Student visiting the Dean’s office approximately 10 times as of the time of the IEP meeting. Additionally, the team noted that Student had two in-house suspensions during the 2010-2011 school year. The team concluded that Student’s SLD did not impair his ability to maintain age-appropriate peer and staff interaction. 5. Student had been receiving DIS counseling services pursuant to his March 12, 2010, IEP, to assist with his impulsiveness regarding peer and teacher interactions. Student’s DIS counselor, Kevin Mottus, reported to the March 2, 2011, IEP team that Student received counseling for a minimum of 30 minutes per week, either individually or in a group, based upon his needs. Mr. Mottus noted that Student was willing to work on his weaknesses during counseling, but that he had not met his counseling goal from the past year, which focused on Student being able to consider the consequences of his actions before he acted. The counselor recommended that Student continue counseling, and that his goal should focus on decreasing impulsive behavior. 6. The team set goals in the areas of reading, writing, math, behavior, and socialemotional, and noted Student’s progress on his previous goals. Student’s behavioral goal provided that Student would engage in appropriate peer and adult conversation with 75 percent accuracy, five out of five days per week. Student’s social-emotional goal provided that Student would strengthen his ability to decrease impulsive behavior as demonstrated by a decrease in impulsive verbal outbursts from six to two times per hour. The team also formulated a behavior support plan (BSP) to address Student’s negative and inappropriate interaction with his peers and staff. The team believed that this behavior was due to Student’s desire for peer attention. The team set a BSP goal for Student to maintain appropriate verbal interaction with peers and staff with no more than one teacher/staff prompt per class period. This goal was designed to address Student’s verbal outbursts in class. The team also developed an individual transition plan (ITP). The team agreed that Student would attend El Camino in the 2011-2012 school year, where he would receive instruction in the general curriculum and attend an SDP for life skills, science, English, and math. The team agreed that Student would receive direct DIS counseling services on a pullout basis for 30 minutes per week. The team recommended accommodations to include preferential seating, prompts to raise his hand to ask clarifying questions, re-explaining of directions, use of graphic organizers, a work partner to support his efforts, extended time for tests/class work, and multimodal teaching strategies. The team did not offer extended school year (ESY). Parents consented to the IEP. 7. District’s long-standing policy forbade pupils from having prescription drugs in their possession while on campus. At Hale, all pupils who were required to take a prescription drug during the school day were to go to the school nurse. The parents of these pupils gave the prescription drugs to the school nurse, along with the prescribing orders, and the school nurse maintained custody of the prescription drugs under lock and key. The school nurse would dispense the drug to the pupil as prescribed, and maintain a log regarding these actions. At all relevant times, Student ingested his Adderall at home in the morning, prior to attending school, and he therefore did not receive Adderall at school from the nurse. 8. On March 28, 2011, or March 29, 2011, another pupil (Boy Pupil), approached Student and requested that Student give him one of Student’s Adderall pills. Boy Pupil requested the pill because he had heard that Student had been giving the pills to friends. Student responded that he would sell Boy Pupil an Adderall pill for $5.00. Either shortly prior to or shortly after this discussion between Boy Pupil and Student, Boy Pupil was approached by a third pupil (Girl Pupil), who requested that Boy Pupil sell her marijuana. At Boy Pupil’s suggestion, Boy Pupil and Girl Pupil together met with Student on campus on the morning of March 30, 2011, just prior to the beginning of the school day, while they were waiting for classes to start. At that time, Girl Pupil gave Student $5.00, Student gave Boy Pupil an Adderall pill, and Boy Pupil gave Girl Pupil marijuana. Student’s conduct violated school rules. 9. District did not become aware of this transaction until on or about April 25, 2011. The District’s awareness of the transaction only occurred as a result of a disciplinary action involving Boy Pupil and Girl Pupil. On April 13, 2011, Hale personnel discovered Boy Pupil and Girl Pupil smoking marijuana on campus. Boy Pupil and Girl Pupil were both suspended for this offense from April 14, 2011, through April 15, 2011. School was closed for spring break from April 16, 2011, through April 24, 2011. On April 25, 2011, when school resumed after spring break, Boy Pupil and Girl Pupil returned to school after serving their suspensions. At that time, the District conducted “return from suspension” conferences for these pupils. During the course of these discussions, Boy Pupil and Girl Pupil each told Hale personnel about the March 30, 2011, drug transaction with Student. On April 26, 2011, Dr. Gregory Miller, Hale’s assistant principal, questioned Student about the March 30, 2011, drug transaction. Student’s version of the events was consistent with the versions of Boy Pupil and Girl Pupil. On April 27, 2011, Student told the same version of the events to the school police, whom the District had called as part of its standard operating procedure when it suspected illegal activity on campus. Thereafter, on that same day, Dr. Miller met with Parents and Student, and Student again related the facts of the transaction as he had previously related them. Dr. Miller suspended Student for five days, commencing on April 28, 2011. Dr. Miller subsequently scheduled a pre-expulsion meeting. 10. On May 4, 2011, the District convened a pre-expulsion meeting regarding Student. Parents, Student, Dr. Miller, Lesley Shapiro (District administrative designee), Gerrit Steenhagen (Student’s special education teacher), and Geoff Symons (Student’s general education teacher) attended the meeting. 11. The team reviewed Student’s current progress on his IEP goals, and updated the present levels of performance that were contained in his most recent IEP of March 2, 2011, in the areas of reading, written language, math, and vocational education. The team noted Student’s eligibility for special education under the category of SLD, and, in contrast to his March 2, 2011 IEP, noted that Student’s SLD impaired his ability to do gradelevel mathematical calculations. The team recognized Student’s SLD also impaired his ability to consistently maintain age-appropriate study and work habits. The team re-stated Student’s goals in writing, reading, and math, as they appeared in his March 2, 2011, IEP, but extended the time for Student to achieve the incremental objectives related to the goals. The team repeated the information regarding Student’s participation in state and Districtwide assessments as was stated in his March 2, 2011, IEP, and adopted the same accommodations as were included in his March 2, 2011, IEP. The team adopted substantially the same ITP as was included in Student’s March 2, 2011, IEP. 12. In the area of behavior, the team supplemented Student’s present level of performance, adding more disciplinary information, grades, and a report from Anita Farsakian, Student’s DIS counselor. The team noted that Student was suspended two times during the 2010-2011 school year, in addition to the suspension for the drug transaction. The three suspensions totaled nine days. The team determined that Student was suspended for fighting after gym class, and he was suspended for an incident when he was defiant/argumentative to an administrator, refused to follow direction, and made inappropriate sexual comments about a teacher’s mother. The team noted that Student had been to the Dean’s office 13 times for misconduct during the 2010-2011 school year up to the time of the pre-expulsion meeting. Student’s misconduct included disrupting class, name calling, cursing in the classroom, and pushing/shoving another student in class. The team noted Student had been absent 15 times, including the suspension days, and had been tardy 12 times. His spring 2011 progress report again reflected an “F” in science, and specified that he was in danger of failing that class and had exhibited disruptive behavior in that class. 13. Ms. Farsakian, a psychiatric social worker with the District’s School Mental Health department, provided a report to the team regarding Student’s DIS counseling. Nobody requested that she attend the meeting, and she did not attend the meeting. She was Student’s new counselor, who had worked with him since March 31, 2011. Ms. Farsakian reported that Student had been participating in counseling sessions and was cooperative. He was able to identify goals and appeared motivated to work toward them. He exhibited difficulty with inattention/distractibility, impulsivity, social skills, and decision-making skills. She concluded that Student’s SLD impacted his social-emotional functioning. Student’s impulsivity and inattention/distractability impeded his ability to maintain cooperative and on-task behavior in classes. Ms. Farsakian reported that these behaviors impeded Student’s ability to benefit from his educational plan, and therefore he continued to require DIS counseling. 14. The team reiterated Student’s social-emotional and behavioral goals from the March 2, 2011, IEP. The team also developed a new BSP, to address Student’s conduct in selling a controlled substance at school. The team developed a new behavioral goal for the BSP, which required Student to use good judgment and comply with school rules 80 percent of the time, as evidenced by reviewing office referrals. 15. The team considered whether Student’s conduct regarding the drug transaction was a manifestation of his disability. The meeting notes reflected that the team discussed Student’s IEP, teacher observations, grades, and relevant information provided by Parents. The team also discussed the facts and events relating to the drug transaction of March 30, 2011. The team considered Student’s unique needs, and that his IEP had been implemented. The team discussed Student’s ability to understand the impact and consequences of his conduct regarding the drug transaction. At some point during this discussion, Student again admitted that he had participated in the drug transaction. Student stated that he knew what he had done was wrong, and he did not know why he did it. Mother then requested that Student leave the meeting, and Student complied. 16. The District members of the team believed that the circumstances surrounding the drug transaction demonstrated that Student’s conduct was planned and not impulsive. The District members of the team also believed that Student’s auditory processing and attention issues did not impact his ability to understand the implication of his decision to engage in the drug transaction. The District members of the team agreed that Student’s disability did not impair his ability to control his conduct, and the misconduct was not caused by or directly and substantially related to, Student’s disability. 17. The team summarized the information it had gathered and performed an expulsion analysis. The analysis included recording Student’s suspensions during the school year, and considering his behavior and his social-emotional functioning. The team noted that Student had a BSP, as set forth in the March 2, 2011, IEP, on which he had made partial progress. The BSP had been implemented, and Student was receiving DIS counseling. Additionally, the team recorded that Student had been counseled by the Dean and the eighth grade counselor, had assisted the assistant principal during nutrition, and participated in onsite organizations and tutoring. The team noted that Student admitted to selling Adderall, a controlled substance, to another Student while on campus during school hours. The expulsion analysis also included the team’s determination that the Student’s conduct was not caused by, or directly and substantially related to Student’s disability, and it was not a direct result of the District’s failure to implement Student’s IEP. The team mistakenly failed to check the box on the form that specified that, because of these determinations, the Student’s conduct was not a manifestation of his disability, such that expulsion proceedings could continue. 18. The team placed Student in a 45-day interim alternative educational placement (IAEP) at a community day school, with educational services and instructional modifications to be provided pursuant to his IEP. The team determined that Student would be placed in general education at the community day school, except that he would attend special education classes for English, math, and history. The team also determined that he would receive direct counseling and guidance services for 120 minutes per month, and direct mental health services for 120 minutes per month. Student was not offered ESY. After the preexpulsion meeting, Dr. Miller met with Student again in a pre-expulsion conference, and Student again admitted that he had sold the Adderall and he knew that it was wrong to have done so. 19. Parents disagreed with the team’s determination at the pre-expulsion meeting regarding “assessment” and regarding Student’s instructional setting. Subsequent to the pre-expulsion meeting, Hale’s principal recommended that Student be expelled. At the time of the due process hearing, the expulsion proceedings were pending. 20. At hearing, Student offered no expert testimony or other expert evidence that directly addressed whether Student’s conduct in selling the Adderall on March 30, 2011, was a manifestation of his disability. Parents each testified to their opinion that Student’s conduct in selling the Adderall on March 30, 2011, was a manifestation of his ADHD. In their opinions, Student’s conduct reflected his long-standing ADHD symptoms of impulsivity and poor judgment. In their opinion, the drug transaction was an isolated, impulsive act that Student had engaged in without regard to the consequences and that he later regretted having done so. 21. Mr. Steenhagen, Student’s special education teacher, testified at hearing regarding his opinion as to whether Student’s behavior regarding the drug transaction was a manifestation of Student’s disability. Mr. Steenhagen received his B.A. in English literature in 2005 from California State University, Northridge, and he received his multiple subject teaching credential from the same institution in 2007. He received his special education credential from LAUSD in 2009. He has been employed by the District as a Special Day Class (SDC)/SDP teacher at Hale since February 2008. Student has been a pupil in Mr. Steenhagen’s SDP since September 2010. Student’s inappropriate comments about Mr. Steenhagen’s mother, along with other misconduct, had resulted in the District suspending Student for two days at the end of the fall semester. As an SDC/SDP teacher, Mr. Steenhagen has taught children with a variety of disabilities, including SLD and ADHD. He affirmed that he implemented Student’s IEP. He stated that, in his experience, Student’s conduct with respect to the drug transaction was not related to his ADHD, and had no relationship to his SLD. Additionally, he attributed some of Student’s outbursts and rude comments in class to Student’s desire to impress his peers and to obtain attention. He believed there was a distinction between Student’s disruptive behavior in class and Student’s behavior in selling prescription medication to another pupil. 22. Gregory Miller, Ed.D., Hale’s assistant principal for the past four years, testified at hearing regarding his opinion as to Student’s behavior regarding the drug transaction. Dr. Miller received his bachelor’s degree in business administration from Loyola Marymount University, his master’s degree in educational administration from the University of LaVerne, and his Ed.D. from California State University, Northridge. He holds teaching credentials in business and math, and an administrative services credential. Dr. Miller’s duties as an assistant principal at Hale include overseeing pupil discipline, and had previously included overseeing special education. Dr. Miller was very familiar with Student, because he spent nutrition breaks with Student on Tuesday through Friday every week from approximately the end of September 2010, until winter break of the fall 2010 semester. During this time, he and Student walked together about campus to monitor the conduct of other students. They would identify the inappropriate behavior of other students, and discuss why it was inappropriate and what the consequences of such behavior might be. This activity was part of an effort by Student to earn a letter of recommendation to participate in a summer Police Explorer program. 23. In Dr. Miller’s opinion, Student’s most significant behavioral problem was his impulsivity. Student knew he should not say or do something inappropriate in class, but he would react to someone’s comment and then impulsively say or do something inappropriate. In Dr. Miller’s opinion, Student’s conduct with respect to the drug transaction had nothing to do with impulsivity. Rather, it was premeditated. Student had discussed and planned the sale of the Adderall, and he had purposefully brought the Adderall to school. 24. Ms. Kathryn Jackson also testified to her opinion as to Student’s behavior regarding the drug transaction. Ms. Jackson is a school psychologist who has been employed by the District in that capacity since 2001. She received her B.A. from California State University, Northridge in 1992, a master’s degree in counseling from Loyola Marymount University in 1996, and a master’s degree in educational psychology from Loyola Marymount University in 1997. She holds a Pupil Personnel Services credential. As a school psychologist, she has conducted approximately 700 assessments, including assessments of children with SLD and with ADHD. She conducted a social-emotional assessment of Student for his triennial IEP in March 2010. As a result of that assessment, she recommended that Student receive DIS counseling. She did not attend the Student’s preexpulsion IEP meeting. 25. In Ms. Jackson’s opinion, Student’s behavior regarding the drug transaction was not directly or substantially related to his SLD. She stated that Student’s SLD was based upon his auditory processing deficit, which impacted his reading and written language skills, and his attention deficit, which related to his difficulty staying on task and focusing. She acknowledged that an impulsive act could be related to ADHD, because children with ADHD lack the urge to suppress their impulses and thus they customarily do not think before they act. However, she believed that Student’s behavior in talking to another Student about the drug, going home, and bringing the pill back to school to complete the drug transaction was not impulsive, and was not related to Student’s ADHD. She described Student’s impulsive behaviors as manifesting themselves when he made inappropriate comments regarding others, because he was not able to consider the consequences of those comments, such as how they affected others. Ms. Jackson also stated her opinion that Student’s eligibility category of SLD was appropriate. She noted that in any event the IEP team must address Student’s unique needs with appropriate goals, placement and services, regardless of eligibility category. 2. Parents contend that Student’s conduct in selling the Adderall was a manifestation of his ADHD, as it reflected Student’s impulsivity, poor judgment, and poor decision-making ability. They contended that these characteristics were consistent with Student’s behavior throughout his life, which they attributed to his ADHD. They also asserted that, due to his ADHD, Student did not think the drug sale was wrong. Rather, Student viewed the transaction as “no big deal,” as he did not view his Adderall as a drug, and he was only trying to be accepted by his peers. District contends that the Student’s sale of the Adderall was not a manifestation of his ADHD, because his ADHD symptoms of impulsivity and poor judgment were often reflected at school in his rude or insensitive verbal interactions with peers and teachers, as was described in the pre-expulsion meeting of May 4, 2011. District contends that the drug transaction reflected planning and premeditation, and not impulsivity. 2 All references to the Code of Federal Regulations are to the 2006 version. 6. Student has failed to meet his burden of proof. For the Student’s conduct on March 30, 2011, to be considered a manifestation of his disability, Student must demonstrate that the conduct in question was caused by, or had a direct and substantial relationship to, his specific learning disability, or that the conduct in question was the direct result of the school district’s failure to implement the IEP. Student did not contend or present evidence that the District failed to implement the IEP, and thus the only inquiry is whether the conduct in question was caused by, or had a direct and substantial relationship to, Student’s learning disabilities in the areas of auditory processing and attention, including his ADHD-related symptoms of impulsivity, poor judgment, and lack of consideration of consequences. 3 School personnel may place a student in an IAES for not more than 45 school days, regardless of whether the student’s behavior is determined to be a manifestation of the child’s disability, under special circumstances involving specified drug and weapons offenses, or when the child has inflicted serious bodily injury upon another person on school premises or at a school function. (20 U.S.C. § 1415(k)(1)(G).) District did not contend that this statute applied in this case, and did not rely on this statute at the May 4, 2011, preexpulsion meeting. Therefore, the application of this provision to the circumstances in this case will not be discussed in this Decision. 7. The circumstances surrounding the drug transaction reflect that Student’s conduct was planned and deliberate, and not impulsive. Prior to March 30, 2011, Student deliberately advised Boy Pupil that he would sell the Adderall to him at the precise price of $5.00. Boy Pupil did not purchase the drug from Student at that time. On March 30, 2011, Student deliberately brought the Adderall to school. At Boy Pupil’s request, he sold the drug to Boy Pupil for the same price as he had previously set with Boy Pupil. Student had at least overnight to plan and consider a drug transaction with Boy Pupil. When Boy Pupil was ready and prepared to pay Student’s price, Student was ready and prepared to sell the drug to Boy Pupil. These facts demonstrate that Student’s conduct in preparing for and completing the drug sale was premeditated, rather than impulsive. Up to the time of the drug transaction, the impulsive behavior at school which concerned the IEP team and for which the school had disciplined Student involved outbursts during which he made inappropriate comments and engaged in anti-social conduct regarding peers and teachers, acted disruptively in class, and refused to follow directions. Student’s conduct during the drug transaction was not of the same character as Student’s previous behaviors. 8. Additionally, at the pre-expulsion meeting, which constituted the manifestation determination meeting prescribed by title 20 U.S.C. § 1415(k)(1)(E), Student admitted that he knew that his conduct was wrong. Student’s conduct demonstrated poor judgment, but the evidence did not demonstrate that Student’s poor judgment was a manifestation of his disability as opposed to a manifestation of Student’s youth, or need for money, or of any other non-disability-related rationale for engaging in such conduct. Similarly, the evidence did not demonstrate that Student acted without considering the consequences of his actions, as opposed to having considered the consequences and deciding that the benefits of the conduct (whatever they might be) were worth the risk of punishment. Student did not demonstrate that his conduct in taking a prescription drug to school, selling it there to Boy Pupil who had previously requested the drug, and selling it at the price Student had previously demanded for the drug, was caused by, or had a direct and substantial relationship to, Student’s auditory processing and attention deficits, including his ADHD. The only substantiated relationship this conduct had to Student’s attention deficit and ADHD was the fact that the Adderall was a drug Student took for his ADHD. Such a happenstance, by itself, is not a sufficient connection to Student’s conduct in illicitly possessing and selling the drug on school grounds to support a decision that the conduct was a manifestation of Student’s disability. 9. Based on Findings of Fact 1 through 25, and Legal Conclusions 1 through 8, Student failed to demonstrate that his conduct in selling the Adderall on campus was caused by, or had a direct and substantial relationship to, his specific learning disability, including his ADHD, and that the pre-expulsion team’s manifestation determination was incorrect. Education Code section 56507, subdivision (d), requires that this Decision indicate the extent to which each party prevailed on each issue heard and decided in this due process matter. District prevailed on the only issue heard and decided in this matter.